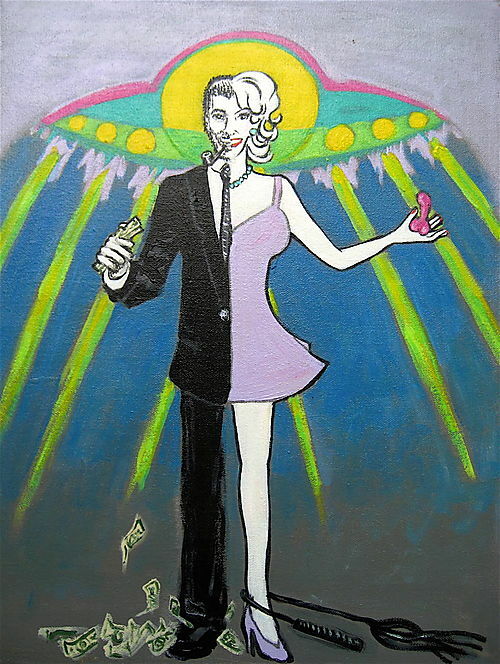 One of several SubGenius devotional paintings completed in the six months prior to the 1994 X-Day Drill. Some of them incorporated collage elements directly on the canvas, though this one doesn't. These were a blast to do.